Sorry for the lack of updates recently. We were caught up in preparations for and then enjoying the 40th Anniversary Rocky Horror Convention in NYC last week. We have some fun photos and video from that to post soon. 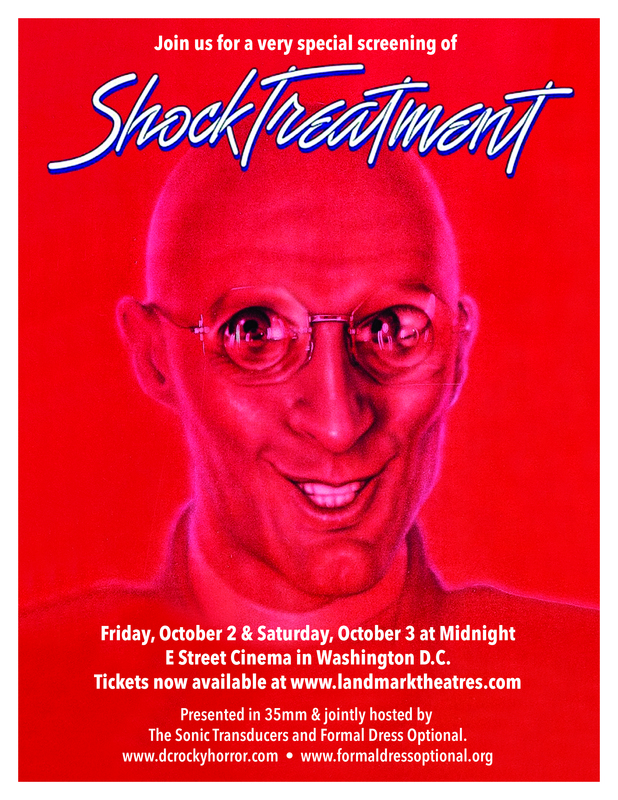 For now though, we just need to remind you that THIS WEEKEND we will be teaming up with the Sonic Transducers to perform Shock Treatment both Friday and Saturday at E Street Cinema in Washington D.C.